In this series on small businesses and alternative lending, ChooseWhat spoke with a number of economists, lenders, and policy experts. This article is based on interviews with two Federal Reserve Bank representatives, Ann Marie Wiersch and Ellyn Terry. Wiersch is a senior policy analyst with the Cleveland Federal Reserve, and Terry is an economic policy analysis specialist with the Atlanta Federal Reserve. The first article in the series can be found here: Small Business Alternative Lending: What You Need To Know. Alternative lending in the U.S. is a quickly growing and evolving market, and while it’s hard to get an exact number to define that growth – estimates of alternative lending companies’ market share in 2015 range from 4% to 10%, and economists agree their growth is expected to continue, rapidly. Seeking to better understand this trend, a group of Federal Reserve Banks that included New York, Atlanta, Boston, Cleveland, Philadelphia, Richmond, and St. Louis collaborated on a small business survey in 2015 that includes responses from more than 3,400 employers in 26 states. The survey found that while 20% of the credit applicants sought credit with an online alternative lender, satisfaction levels with these lenders were lower than with traditional lenders. The reasons cited for this dissatisfaction were unfavorable repayment terms and high interest rates. A separate focus group study conducted in 2015 by the Federal Reserve Bank of Cleveland and Board of Governors showed that while small business owners find alternative lenders appealing, many don’t fully understand the nuts and bolts of the products and costs alternative lenders offer. With that survey and its results in mind, the conversation in the financial world is now turning to how alternative lenders fit into the financial landscape, and when, if, and how to regulate them. There are a number of reasons why small businesses might be attracted to alternative lenders: they offer speedier access to capital and more flexibility with credit than traditional banks do. This is particularly appealing to people who are past the “starting a business” phase, but do not yet have enough financial history to be credit worthy by traditional banking standards. Challenges providing collateral also make it harder for many small businesses to borrow from traditional banks, says Ellyn Terry, an economic policy analysis specialist in the Atlanta Fed’s research department. Since most non-traditional lenders don’t require collateral, working with them can be a much simpler process. 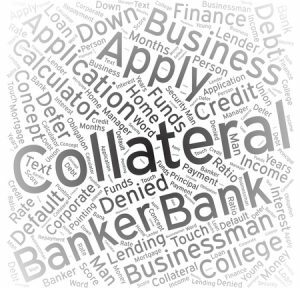 In addition to different requirements – or none at all – around collateral, alternative lenders also sometimes allow borrowers to pay a certain percentage of their sales, instead of a set dollar amount each month. That means that if a borrower has a lean month, they are paying a percentage – say 10% – of the lean sales that month, and don’t have to worry about scrounging up cash for a payment they may not be able to make. There can sometimes be a pre-existing relationship that makes working with alternative lenders easy, as well. Terry says that businesses that use PayPal, for instance, tend to gravitate toward PayPal Working Capital. Between more flexible payments and much easier loan processes, it’s easy to see why alternative lenders are a valuable resource to many small businesses. But Terry and Wiesch also say that there’s a risk that by not understanding the costs of some alternative lending products, businesses can get in over their heads. One example of this is businesses seeking merchant cash advances (MCAs). Terry says that the popularity of MCAs has risen in the years following the financial crisis. “The terms of MCAs can be enticing because repayment seems easier than paying off a structured business loan that requires a fixed monthly payment. Instead, the lender is paid back as the business generates revenue, in theory making cash flow easier to manage,” Terry wrote in a blog entry for the Atlanta Fed. If a business gets a $100,000 MCA for instance, the terms attached may require the borrower to repay the advance with 10% of the business’s credit card sales until they have repaid the advance amount ($100,000) plus fees, which are usually a percentage of the amount advanced, ranging between 20% and 40%. 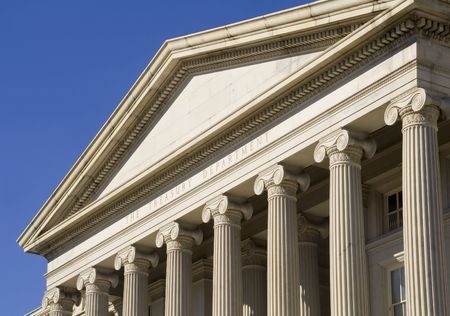 While there’s not currently a regulatory structure in place that dictates how alternative lenders disclose costs and terms, there are efforts from associations, government entities, and alternative lenders themselves to develop disclosure standards. The Association for Enterprise Opportunity (AEO) recently partnered with a group of three non-traditional lenders – OnDeck, Kabbage, and CAN Capital – to standardize price comparison tools and explanations, including total cost metrics and APR. The Coalition for Responsible Business Finance (CRFB) is another organization recently formed to provide an advocacy and education platform for alternative lending and craft best practices for the industry, with steering committee members including Breakout Capital, Fundation, Orion First and PayNet. And the U.S. Treasury Department recently issued a white paper on the online marketplace lending industry. 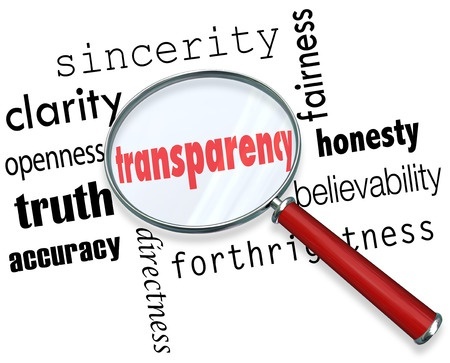 While it’s an overview of the changing lending landscape and not a set of recommendations, the paper does include input that calls for greater transparency and regulatory clarity around the roles and requirements for borrowers and lenders.